Star Wars – About Time. 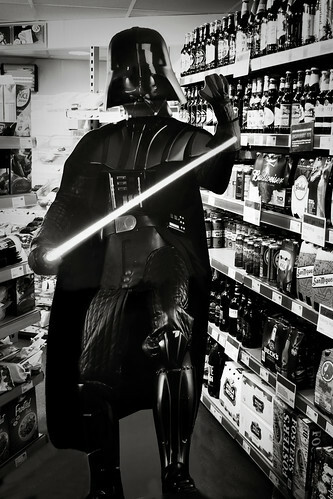 Darth Goes Shopping, a photo by Cathy G on Flickr. I named a Burger. We’ll be heading up to Atomic Burger in Oxford as soon as we can to try it out. The James Earl Jones – Born in Mississippi, distinctive, full of substance and known for it’s ‘Dark Side’ name inspired by Darth.